Raised in Quebec, Canada, Emanuelle has always had a taste for adventure. As soon as she could, Emma started working as an outdoor educator to pass on her passion for outdoor adventures to the next generation. 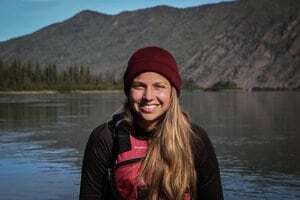 Realizing that education was her vocation, she completed a bachelor’s degree in Psychoeducation while continuing her work on outdoor leadership programs. After her studies, Emma decided to trade her canoe for a backpack and went exploring the world. She left extremely excited, curious and oblivious. She returned more aware, open-minded and knowledgeable. Her biggest realization was that, despite the language barrier and the cultural differences, it is possible to build connections and learn from each other. A new passion emerged from her travels. Emma strived to understand how others live and what they believe in. Four continents and more than 10 countries later, she continues to trace her path in experiential education leading programs internationally.